If you have any questions or want to enquire about dates, use our form to contact Rachel Jones or see their website for more information. This is not your average Cotswolds barn conversion. It’s actually a very smart, contemporary architect-designed retreat. Set in a small hamlet, with sociable hosts next door to welcome you – Rachel, a florist, and Nick, a timber trader – have pooled their creativity and talents so you get beautiful stonework, clever lighting, restored beams and lots of upcycling. Kitchen units made from old doors, vintage sinks and taps… everything’s been given a utility-chic makeover. Step inside and be wowed by the sense of space: the ceiling soars and huge sliding glass doors draw your eye to long country views. Sit, drink in hand, at a breakfast bar wrapped in galvanised tin, while the cook whips up supper in the functional yet super-stylish kitchen; a generous first breakfast is left for you. The living area is inviting with thick rugs, interesting art and toasty wood-burner (first basket of logs free). A glass-sided staircase transports you upstairs to two double bedrooms, each with a separate sleek bathroom and deeply restful beds dressed in neutral linens; blackout blinds mean you’ll feel utterly reinvigorated after a stay here. Minimum stay: 2 nights. Babes in arms only or children over 12 welcome. Dinner on first night, 2 courses, from £15. Breakfast hamper for first morning. Pubs/restaurants 2 miles. 3-night stay, £500. Extra bed/sofabed available at no charge. The Field Barn is very special. My husband and I had the most wonderful break and have come home feeling rested and rejuvenated. The field barn is a haven of tranquility in the Cotswolds - full of creativity with beautiful touches that no doubt make each stay very memorable. We're already looking to when we can visit again! The Field Barn is a delightful take on modern rustic and really well appointed. It is very spacious and a very welcoming space, both outside and in. The location was great as we headed out to see the beautiful villages, castles and features of the Cotswolds. Don't miss the Roman Villa it was really well presented. Rachel's recommendations for restaurants and sites were great. As 2 couples this place worked really well for us, whether we were cooking ourselves or just relaxing. Just returned home from a perfect long weekend at The Field Barn. The place is stunning, it has a real wow factor & that rare quality of actually looking better in reality than it does on the website! It’s all in the detail, with clever upcycling of scaffolding planks, branches & pipes, finishing touches of fresh flowers in each room and a lovely welcome breakfast pack. There’s a lovely decked patio at the back, overlooking a large field & the rolling Cotswolds landscape. Thank you Rachel for looking after us so well - we'll definitely be back! We've just spent the most wonderful weekend at The Field Barn and couldn't recommend it highly enough. The setting is stunning - for 3 nights we watched the slow, vast, magical mid-summer sunsets from the terrace. The barn itself is a wonder; much of the furniture and fittings are reclaimed. It's a work of genius. The decor is lovely. But it was the tiny details that really impressed us: our every need was catered for, often before we even knew what that need was! We'll remember the weekend for a long time. Rachel looked after us so well. If you want a spot of Cotswold luxury, head here. Just returned from a 3 day stay at Field Barn. A beautiful property, very tastefully presented. Best of all for me, a log burner - quite delightful on a couple of rainy nights. A lovely location, pheasants and birds a plenty through the huge glass doors - very relaxing. My partner particularly liked the sinks! Some very clever recycling of materials on show alongside the sleek modern features. Some good pubs to be found nearby too. Highly recommended. My mother, six month old son and I had the most wonderful weekend stay in The Field Barn. Beautifully designed and finished to an extremely high standard it made for a very comfortable and relaxing stay. It also had all the amenities we could possibly need and more. Rachel and her husband were very welcoming and when we found ourselves snowed in on the day we were supposed to leave, they went above and beyond to ensure we wouldn't go hungry! We loved the location - a beautiful and quiet country setting but close enough for a day trip to Oxford and Blenheim Palace. We'll definitely go back! A beautiful barn in a beautiful location! It is finished to such a high standard, with amazing features from the original building. The Breakfast starter pack is a great idea and the evening meal delicious. Would definitely recommend as the ideal place for a relaxing weekend away in great countryside surroundings! The Field Barn is a little piece of heaven! 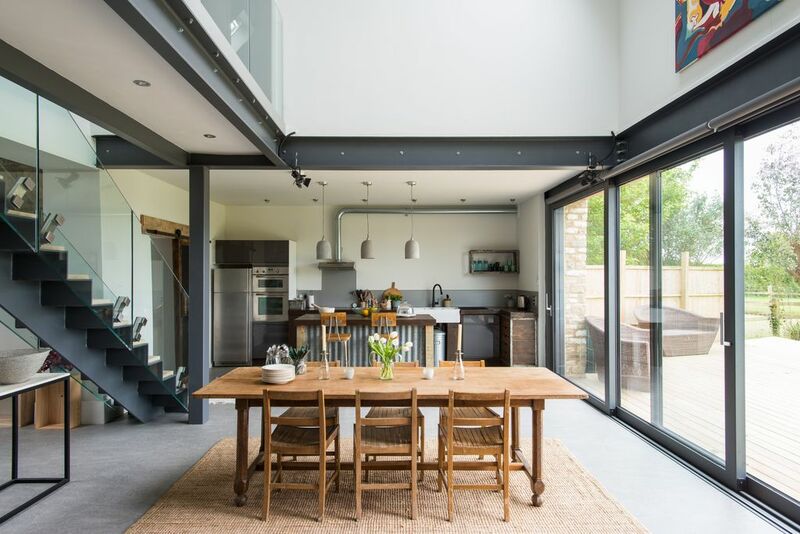 It's been beautifully designed, like something on Grand Designs, and Rachel has been really clever to incorporate aspects of the old barn, like the timber beams, and use them as a chic kitchen island. Every detail seems to have been thought of for a cosy stay. This is my second visit and I'll definitely be back! Beautiful barn in a suberb location. We stayed here on our wedding night and couldn't have asked for a more special location - endless views and extremely peaceful. Rachel and Nick are also perfect hosts! Field Barn is a delightful place to stay. 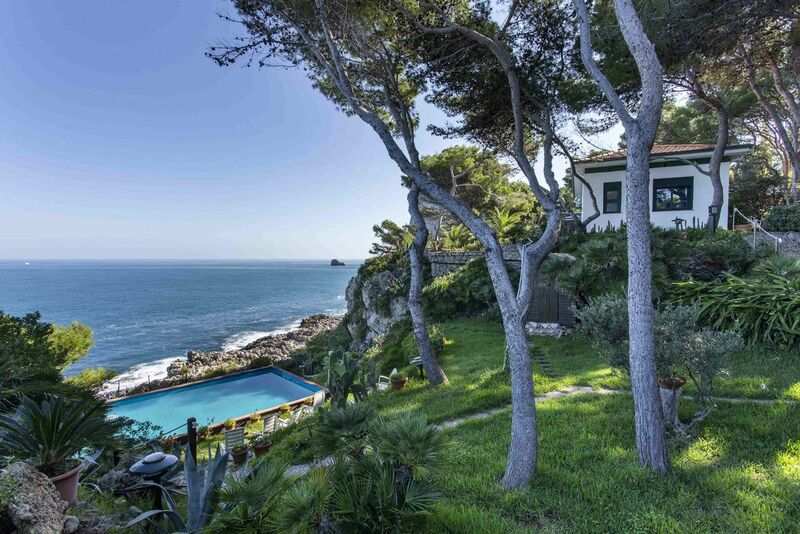 It's very stylish, artistic and modern with huge windows opening onto a very restful view. Rachel made us most welcome and provided a delicious supper on arrival and more than ample food for the first breakfast. Everywhere was very clean and the beds most comfortable.The house was decorated with beautiful flower arrangements which added to the splendid ambience and were a joy. Field Barn is very conveniently located for visiting the beautiful Cotswolds towns, villages and countryside. We felt very much at home here.